This author just has the best name. Ardy Sixkiller Clarke is a retired academic from Montana who hails from a Native American background. But this is not an academic book as such. Instead, the book is more of a travelogue of her 14 trips through Mesoamerica, following in the footsteps of the 19th Century explorers John Lloyd Stephens and Frederick Catherwood. However, where they located ancient Mayan ruins and brought them to the attention of the outside world through their stories and beautiful illustrations, Ardy Sixkiller Clarke's own voyage of discovery focuses upon personal accounts of UFO encounters told by the indigenous peoples of Belize, Honduras, Guatemala and Mexico. Her extensive travels, facilitated by a number of drivers and guides whom she hired along the way, brought her into contact with many, many Maya. She collected 92 stories of alien and/or UFO contact altogether, half of which she provides in this book. In her writing, she immerses herself into the world of the modern Maya. In that sense, her work is anthropological, except that there is also a strong vein of empathy running through her interactions with the indigenous folk of Mesoamerica. That provides the reader with a unique insight into the lives and worldview of the experiencers, as well as a treasure chest of new UFO stories to explore. It makes this book rather special, I think. However, one might also level against this book an opposing argument, which is equally valid. Many of the stories are rather tall-tales (e.g. chapter 5) which invite scepticism. The author rarely passes judgement on any of the stories. She does not indicate where one might be considered more believable than another - indeed, she goes out of her way to avoid invalidating any of the accounts. The philosophical approach to her work is observer-centric, to be sure, but as a methodology lacks any kind of scientific rigour. In Ufology, it is accepted practice that the accounts of trained observers (e.g. police or military personnel) will carry more weight than those general members of the public. The collection of physical evidence is also a pre-eminent concern, which is lacking here. 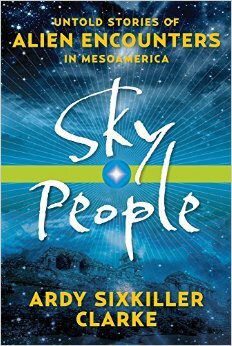 For the author, the beliefs among the people that she met - that the UFOs and their occupants were the returning Sky People known to the ancient Maya - seemed far more palatable than, say, placing the sightings into some kind of supernatural or religious context. 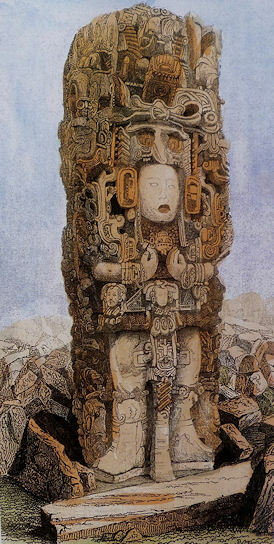 Indeed, she concludes her book with the notion that the Maya are, uniquely, the remaining vestiges of a Sky People colony on Earth, whose advanced civilisation collapsed through what was probably an environmental catastrophe (a decades-long drought is thought to be the most likely explanation for the collapse of the ancient Mayan society). Her own cultural persuasion seem to make her more acceptant and less questioning of accounts that reinforce her own beliefs. This both benefits the book, in terms of access to rare stories (and some fascinating insight into people's lives), but also hinders it in terms of objectivity. Common misinterpretations of natural events or phenomena. We hear of the 'nahual' in Chapter 8, a spirit being who features in the mind-bending tales of Carlos Casteneda, hinting at Shamanism or some other kind of underlying alternative reality at work. Clarke cites Jacques Vallée's seminal "Passport to Magonia" in her bibliography, and could have explored other folkloric elements as common ground with the UFO reports, thus placing many of them in broader context. Alternatively, are the sightings instead of alien ghosts? By this I mean Nick Redfern's suggestion that many supernatural/paranormal sightings might be playbacks of very ancient events - in this case, the arrival of Sky People to their cities before they fell into disrepair. ""I have seen them many times," Vincente said. Evryone turned in the direction of an elder who sat at the end of the table..."Anyone who has spent time outside at night has seen the lights. Sometimes they come from a craft; sometimes they just appear. I have seen the Sky People turn into balls of light in front of my eyes. I have also seen them disappear."" (p236) The ghosts of aliens past...? The author is aware of the dangers, citing von Daniken's books and the global interest they generated in many ancient sites. Carefully, one can sift out these accounts from the many provided by Clarke which clearly have no underlying agenda. Indeed, she has her own amazing encounter to reveal in this book which takes place at a Mayan site at night. As the book proceeds, the reader does begin to appreciate that there really might be a link between the mysterious Sky People, the Dioses del cielo, and the Maya, despite all the pitfalls. There are so many classic UFO sightings, abduction accounts (some with multiple corroborating witnesses) and alien encounters provided by disparate peoples. There is a consistency about many of these stories that speaks to truth: the shape of the craft, the descriptions of the Sky People and their activities. What connection do they have with the Maya? Do they purposefully choose to visit remote Guatemalan mountains, say, to do their work without fear of hindrance or discovery by human 'civilisation'? After all, why would anyone listen to, let alone believe, the locals from these forgotten areas? Mayan elders speak to the author of their dealings with the 'Shining Ones', whose visitations to Earth occur in cycles: 16 years on Earth, 16 years off (p147). Is this another Mayan cycle at work? The involvement with this lost colony on Earth seems reminiscent of the Anunnaki to my ears. Is Mesoamerica an area special to the ET visitors, or is this another example of a self-belief in 'special status' for an under-trodden people? The author notes that the Maya say that when they reached Mesoamerica, they brought their knowledge with them, and were not given it by great teachers on Earth (p300). This cultural anomaly sets them apart from other indigenous peoples of the Americas, and perhaps lends credence to the notion that their origin is indeed unique. Clarke is scathing of von Daniken's ideas of Ancient Astronauts, and the paternalistic, colonialist mentality that she sees underlying it. These proud people, the Maya, were once the architects of the most technologically advanced society in the world - carved out of a hostile jungle environment. There's something so marvellous in this simple fact that their special status is undeniable. But does it extend to the stars? This is a wonderful book, and I heartily recommend it. Beyond the Ufology, the book is also a superb travelogue. As a lone female traveller, Clarke's rather courageous tours of Central American backwaters provide fascinating insight into the lives and times of the indigenos of several countries less-travelled. A real gem. Subtitled "Untold Stories of Alien Encounters in Mesoamerica"